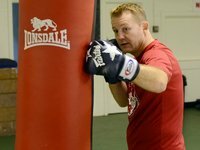 Mixing up your repertoire of jabs is key to making a good fighter. You need to learn how to throw your jabs from all angles, to create openings for your power shots. 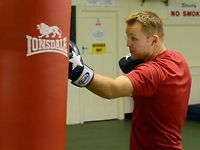 When I am training my students with the pads, or if we are working a sessShow More ion on the bag, I will always encourage them to mix up their jabs. I want them to constantly change the power and speed of their jabs - soft, hard, medium, fast, slow, and also to feint the jab. Using these skills will keep your opponent guessing, and will make you a tricky adversary. 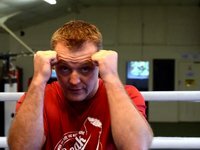 It is important not to keep repeating the same technique in the ring. Being an unpredictable fighter is advantageous, as it actually makes your opponent stop and think. They won't have the slightest idea what you are going to do next. 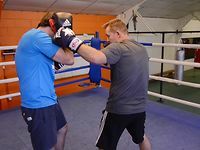 The jab to the body is one of the techniques that I like my students to play and have fun with, when practicing the jab. 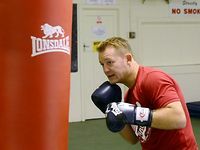 It is a great 'counter to the left' jab, and sets your whole stance up for some great punches. 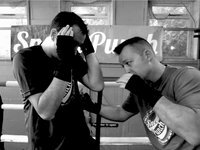 With slightly bent legs, you can push up through the floor, and land some devastating right hands, uppercuts or hooks. 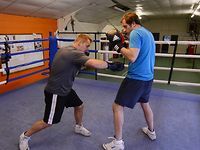 Early on in training, people often seem to focus on 'head hunting', rather than going to the body, but if you destroy the body the head will topple, fact. 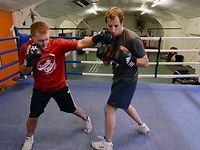 When you jab to the body, it inevitably brings your sparring partners hands down, in defence. You can then use this reaction as your opportunity to punch over the top their guard. Alternatively, feint the jab to the body to get the same defensive response.